Local Area Links - C.H.E.B.W.A. The nature center building is open Monday–Friday, 8:30 a.m. to 4:30 p.m. Year-round educational support for any student wanting to take their education to the next level. Lessons are tailored to each child’s needs. Both on-line and in person classes available. Pricing is negotiable. If you want info on the Blue Water Area, this is your site! Get the scoop on local events, festivals, dining, museums, communities, even a virtual tour. So if you're looking for a local field trip - take a look here first! 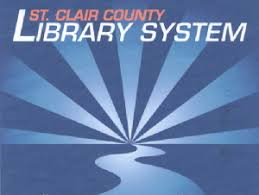 The St. Clair County Library system has 11 branches to serve your family! This locally-owned business is run by sons of one of our CHEBWA families.